Beverly Yargee obituary. Carnes Funeral Home. Beverly Charlene Yargee, (71), passed away on August 6, 2018 at Mainland Medical Center after battling health issues for many years. She was care for and loved for the past 28 years by her longtime partner Charles Douglas Waddle. Born in Texas City, Texas on July 26, 1947, she was the daughter of Clinton and Irene Kirkpatrick. She lived most of her life there. She attended schools in Texas City and La Marque High School. It was there that she met her future husband Charles Edmond Townsend Jr. They were married March 15, 1965. 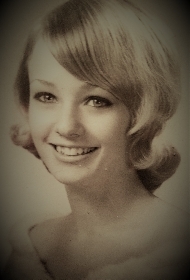 In her years in high school she played the clarinet and exhibited strong artistic skills. She was predeceased by her parents Clinton Samuel and Irene Lily Mae Kirkpatrick (nee Thomas) and two bothers: Damon Lloyd Guthrie and Kenneth Eugene Kirkpatrick Sr.
She is survived by her three children: William Edward Townsend of Big Springs, Texas, Kimberly Irene Pionzio (nee Townsend) of Venice Beach, California and Patricia Anne Yargee of Houston, Texas; grandchildren: Winter Larimer, Evan Pionzio Jr., Jordan and Harli Taylor; and three sisters: Joyce Royer, Shirley Townsend and Cheryl Camuso; five cousins and serval nieces and nephew. Her wishes were for direct cremation with her ashes going to her daughters. In lieu of flowers, the family requests Memorial donations in Beverly’s name to the Brain and Behavior Research Foundation. For more information please visit the website https://www.bbrfoundation .org.